The Minister emphasized that he closely follows the successful reforms in the education system of Uzbekistan and expressed gratitude to the leadership of Uzbekistan for such high attention to the promotion of the French language and culture. 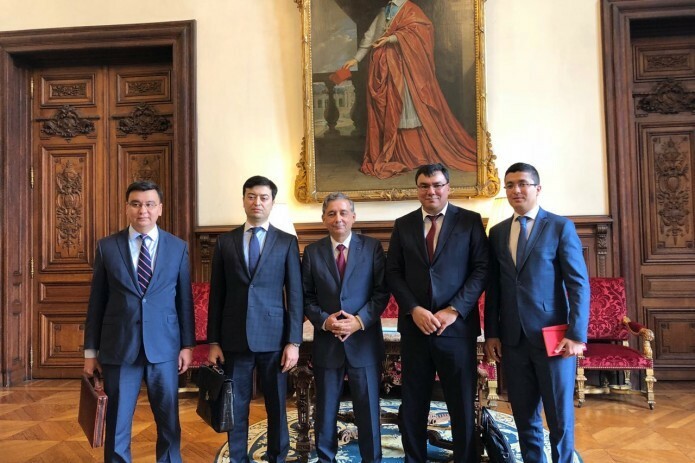 A delegation of Uzbekistan headed by Deputy Prime Minister Aziz Abdukhakimov held a meeting with the rector of the Paris Academy, Minister of the Academic region of Ile-de-France J. Peko. The sides discussed issues of strengthening cooperation in the field of secondary, secondary special and vocational education, the opening of French higher education institutions, as well as expanding the legal framework, including the signing of new agreements and cooperation programs between the ministries of education of the two countries. As a result of the negotiations, agreements were reached on the opening of a branch of one of the universities of France in Tashkent, the first summit of rectors of universities of Uzbekistan and France in Uzbekistan, the establishment of joint faculties and departments, as well as exchange between teachers and students.